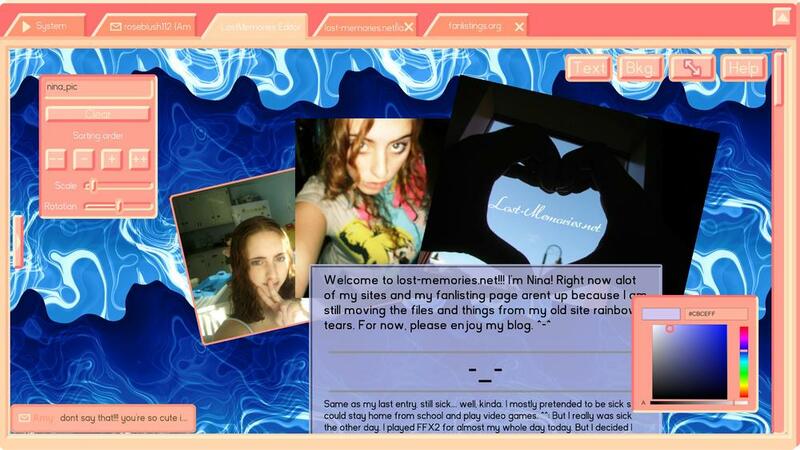 Lost Memories Dot Net is a game about chatting and building websites as a teenage girl in 2004. You play as 14 year old Nina, chatting with your online friend Kayla about a middle school love triangle, and building your blog between messages. You explore the online world Nina occupies, downloading images to decorate your blog as the drama at school unfolds. Lost Memories Dot Net was originally commissioned by Manchester International Festival, and had the special honor of being the festivals very first video game commission.